Credit: Callum Shepherd of Fourth City Films. The formulaic and passionless interpretations made by a large number of post-rock bands in these oversubscribed times does have me often reaching for the thesaurus to find new ways of describing my disappointment. Too often I find myself overwhelmingly of the notion that the music certain artists are producing has been self-tagged into this genre as a result of the lack of a vocalist, and the apparent subsequent need to attempt to top and tail their substandard instrumental fare with layered, elongated (predictable) construction and the inevitable, distortion-led crescendo. It’s as though they believe that such a manufactured approach to writing and structuring their music – a Stock, Aitken and Waterman approach to post-rock, if you will – might see many a unit shifted and a potential slot on Later with Jools Holland (well, what else is there these days?). What sets the bands at the very top of this genre and apart from the also-rans is much the same as in any other style of music really. It is the ability to sound entirely organic, that the music being created is inherent within, and that by coming together as a band, the various styles, influences, ideas and elements are born into one natural, cohesive and compelling whole. Whether it is at the heavier end of the spectrum, with Pelican and Russian Circles, or the progressive experimentation of Mogwai and 65daysofstatic, or indeed the quasi-religious productions of Godspeed You! 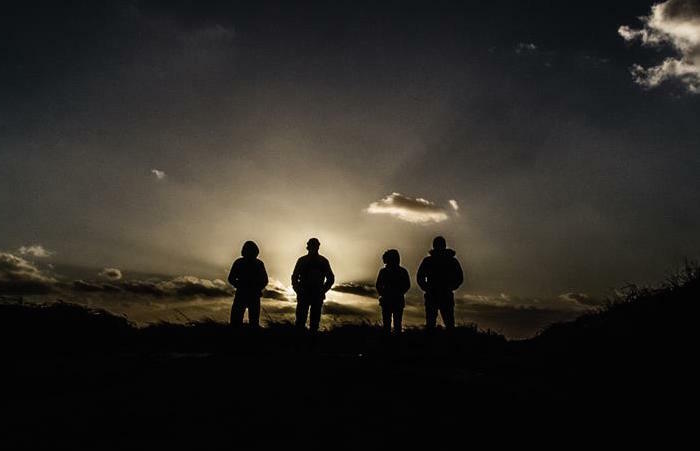 Black Emperor and Mono, the output is generally wholesome, distinctive and utterly convincing. Enter Gilmore Trail. 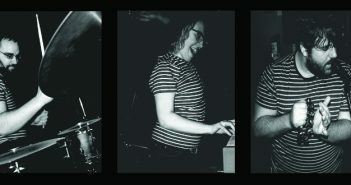 Naming themselves after an especially remote route in central Alaska – recommended as one of the best places to see the Northern Lights from – gives one a very clear indication of where this four piece from Sheffield, England might be coming from (clue- it’s not Sheffield, lovely though it may be). After the exceptional promise of their début album Sailing Stones two years ago, The Floating World is an ambitious follow up of notable scale, a record that attempts to portray the breathtaking beauty and colossal power of nature, through its 60-minute, eight track, entirely instrumental composition. And it does so brilliantly. Beginning with the upbeat, heartwarming, piano-led ‘Memories of Redfern’, Gilmore Trail exude a confidence and freedom of expression that makes their music irresistible. Such a positive and buoyant opening is very rarely to be found in the genre. They are quite a lot like how I have wanted Explosions in the Sky to sound since hearing them for the first time. Where the Texan four-piece tend towards a slightly more melodramatic style of playing, Gilmore Trail add a beguiling craft and sonorous weight to their crystalline soundscapes. ‘Ballard Down’ outstays none of its near-eleven-minute outing, as it builds and builds in a glacial yet uninhibited fashion, bringing to mind ‘I Love You, I’m Going To Blow Up Your School’ by Mogwai on more than one occasion, before an ambient mid-section lulls and soothes, leading to a fabulous explosion of seismic proportion. Not content with that, the band then strip it back down and rebuild again to a beautiful climax. Meanwhile, the shorter, becalmed ‘The Shallows’ and closer ‘Dusk’ add poise and thoughtful introspection to proceedings, without losing any of the album’s essential and deliberate mood, and sense of its place in nature. 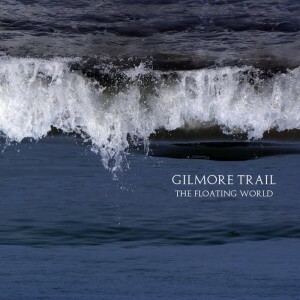 The Floating World is an accomplished, captivating listen, a startling achievement considering this represents only Gilmore Trail’s third release. It is the best post-rock album I have heard this year, and if the band can continue to deliver the same exceptionally high standard of sumptuous, evocative instrumental rock music, they will very soon be able to take a place at the top table themselves.